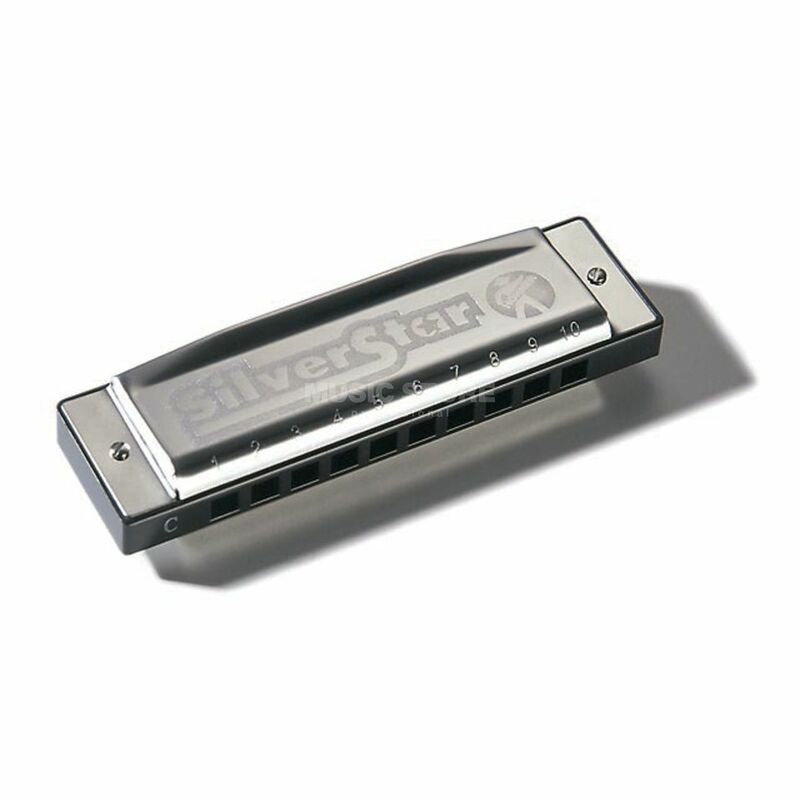 The Hohner Silver Star C 20-Tone Harmonica is a 10-hole diatonic harmonica in the key of ‘C’, perfect for playing along to blues, folk and country music; ideal for beginners. Thanks to their excellent response and great tone, diatonic harmonicas from Hohner have earned a worldwide reputation for the finest quality. These harmonicas, constructed according to the Richter system, are single note instruments and can be recognized by their undivided air channels. They are frequently referred to as “Blues Harps" and are primarily used as melody instruments in blues, rock, pop, country and folk as well as other styles. By allowing the blow and draw reed in each hole to interact, their undivided air channels permit bending and overblowing of certain notes in order to create the typical wailing blues sound as well as offering the missing chromatic notes.